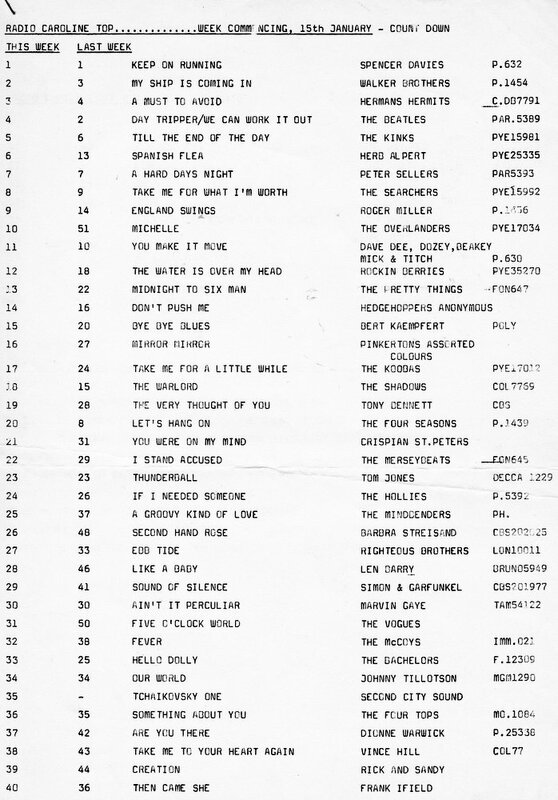 This is the Top 40 of the Caroline Countdown for 15th January 1966, as printed in Monitor Magazine's publication Happy Birthday Radio Caroline - 20 Years Old, Easter 1984. The playlist was only in operation on Caroline South for a few days. The ship was blown ashore on the night of the 19th January, silencing the station. The Radio London Fab 40 for the same week is here. The Radio City City Sixty is here.